I feel sorry for the unfortunate souls who sank into the bottom of Ha Long bay yesterday. I’m sure they had a nice time and delicious meals on board, and are resting in peace now. see Yahonews or Bloomberg for details (Heather, thanks for the update). 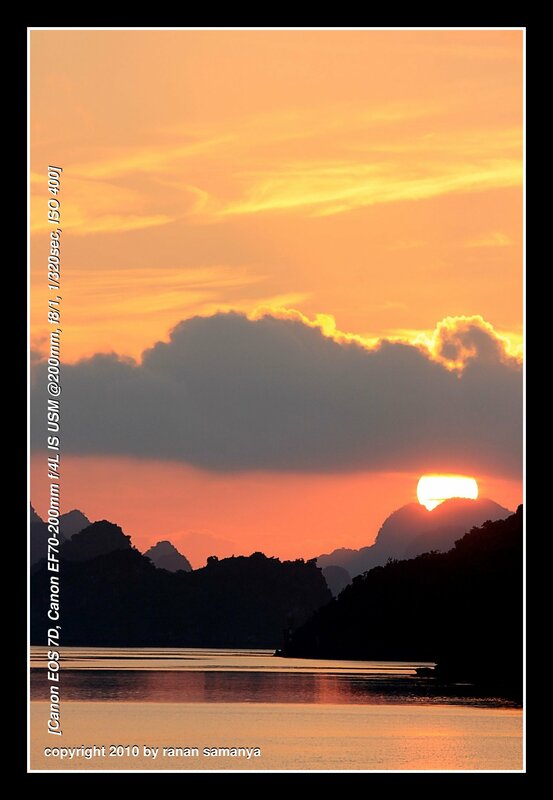 early sunrise at Ha Long bay.